This three day geotechnically focussed health and safety course has been developed by industry specialists and is a unique course for managers and supervisors involved in projects in the drilling and geotechnical industry. The course is certified by IOSH and is the industry equivalent to the SSSTS (Site Supervisors Safety Training Scheme) construction qualification. This course has also been approved by The Environment Agency, Thames Water, AGS and BDA and also meets all of the requirements of the UKCG (formerly the Main Contractor's Group). The Health and Safety at Work Act, 1974 requires an employer to provide whatever information, instruction, training and supervision as is necessary to ensure, so far as is reasonably practicable, the Health and Safety at work of its employees. Within legislation this has been further galvanised in CDM which provides more clarification regarding the duty of care of employers to its employees and specifies particular qualifications for supervisors before they are deemed competent. The course covers all of the typical health and safety issues expected from such a detailed course but also includes health and safety aspects more relevant to drilling and geotechnical site work. The course also comprises break-out sessions covering human factors and the production of risk assessments and tool box talks as well as written and practical assessments including a work based assessment to be completed after the three day course. 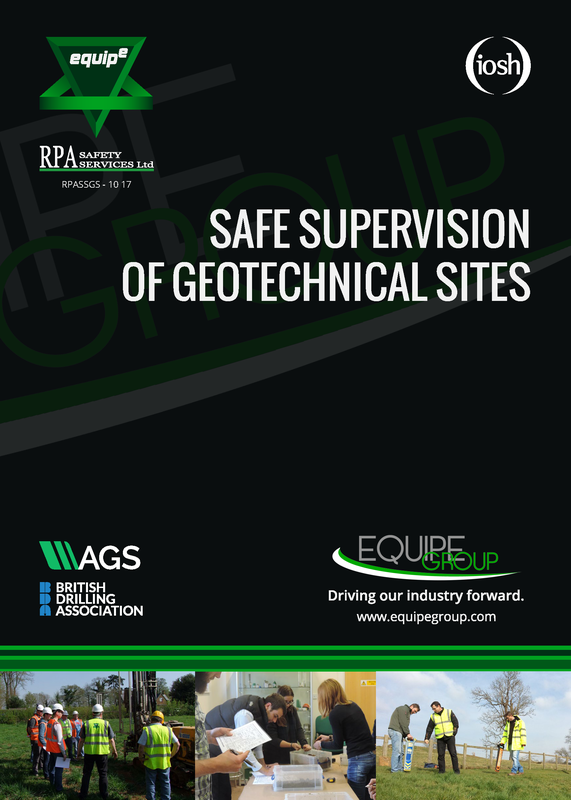 The course is aimed at site managers and supervisors as well as specific drilling supervisors who are or will be expected to be involved on sites where geotechnical works are carried out. The course is designed for delegates from any sector of the Drilling and Geotechnical Industry but of equal relevance to those from other sectors where drilling and geotechnical work is part of the project. "An essential three days training for all site engineers delivered by a very knowledgeable trainer." £495 + VAT per delegate.